The Philadelphia Eagles are Super Bowl LII Champions! Ending a long championship drought, the Eagles can finally raise the Lombardi Trophy high after defeating the Patriots 41-33. 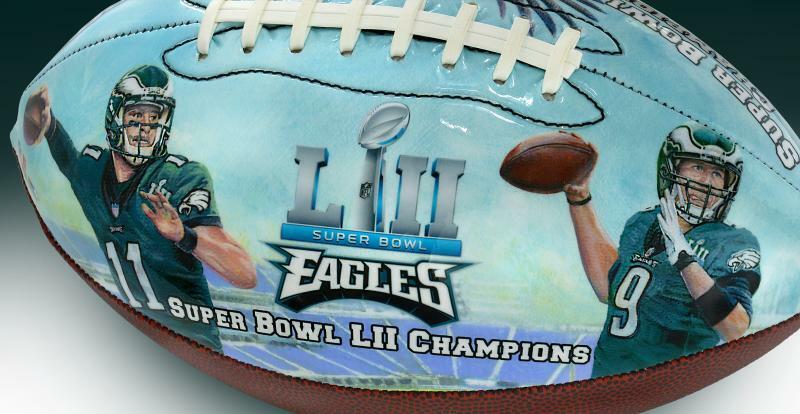 To celebrate this amazing season we are pleased to present the official and exclusive Eagles Super Bowl LII Champs Commemorative Art Football. 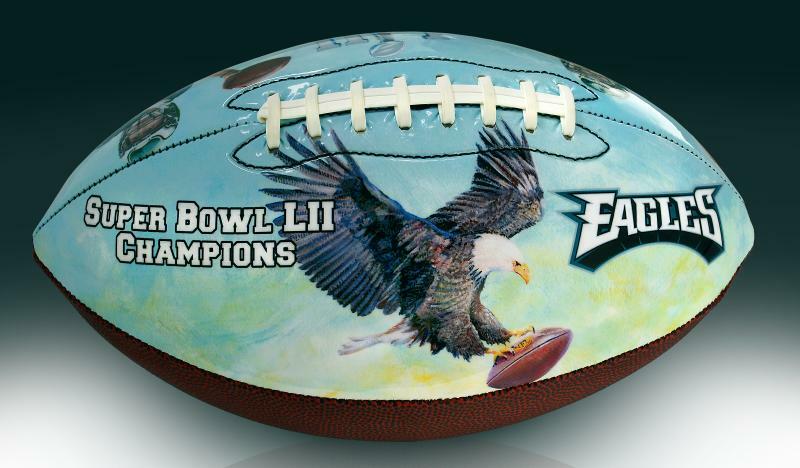 Each commemorative football features reproduced work of noted artist Jolene Jessie. 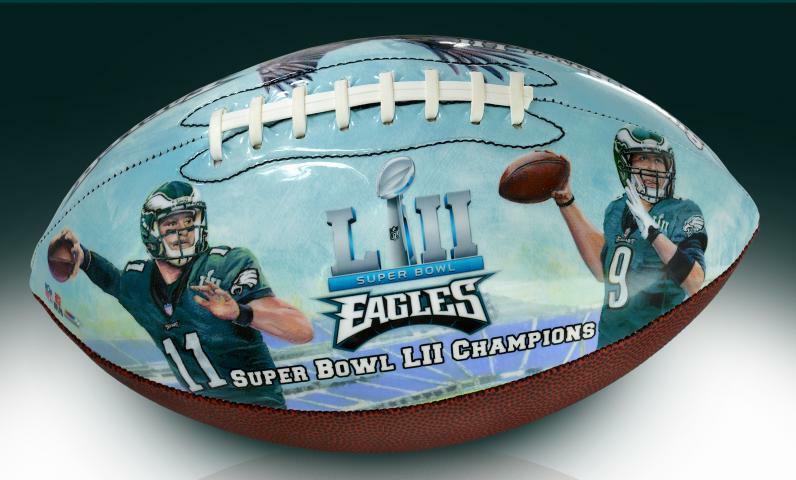 This is a limited edition collectible that Philly football fans will want for their personal collections. Order yours today before they are gone. Every ball comes with a numbered certificate of authentication. 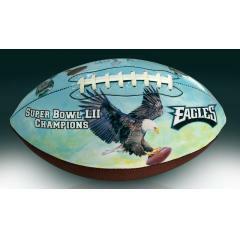 Eagles Super Bowl LII Champs Commemorative Art Football $89.95 Sold Out!